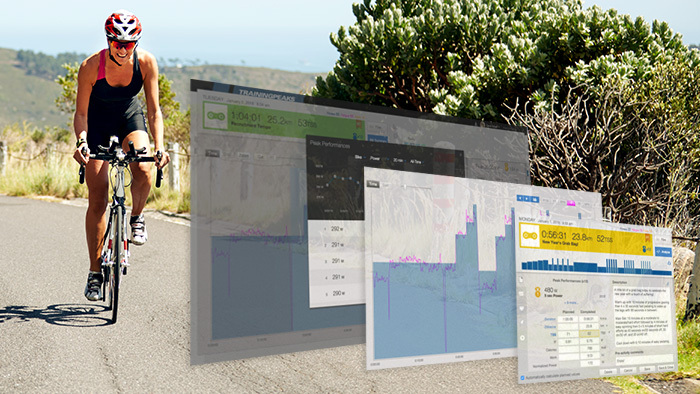 TrainingPeaks is a robust platform with a lot of tools to help you achieve your best this season. However, with so many options sometimes some of the most powerful features can get lost. With that in mind, I wanted to take a moment to point out three cool features that you might have missed. As the name implies, this should be your first stop every day. In the home view you can review your upcoming races or add a new race to your calendar, get a reminder of the goals that you have set, and see your fitness trends over the last week, month, and year. If you have an upcoming event but aren’t really sure how you are you are going to train for it, then it might be time to hire a coach or find a training plan. Having a solid plan is one of the first steps to success. It all begins with your season plan, which provides the road map for your season and how you will train during different times of the year. By creating an Annual Training Plan (ATP) with one of the TSS-based methods, you can take your planning to the next level. 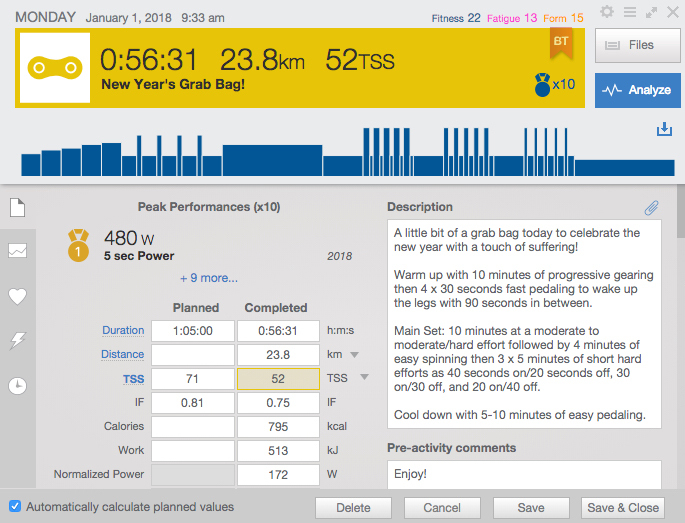 While traditionally athletes have planned based on annual hours or goal mileage, planning with TSS takes the intensity into account to give you a more complete picture with added precision. By creating a TSS-based Annual Training Plan, we can help you model out your fitness over the course of the season to help keep you on track to reach your goals. A new year can also mean a renewed focus. With Peak Performances you will be able to track your progress toward your goals with notifications on new peak power, run pace, and heart rate performances.You can also see where this year’s peaks stack up versus last year, or across all time. 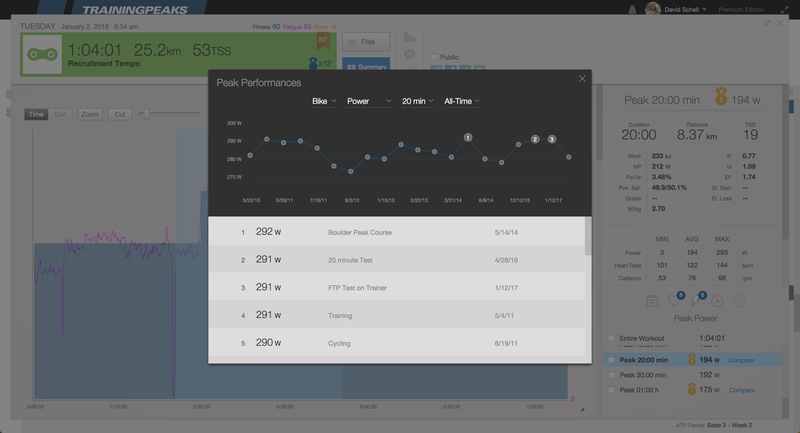 The dashboard view in TrainingPeaks is there to help you monitor your progress over time and track trends in your fitness. Customize the dashboard to display what is important to you by clicking the “hamburger” button (three horizontal lines in the upper right corner) to access the settings. 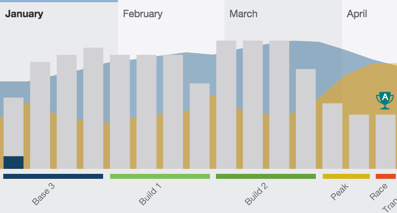 Give your chart a custom title and date range, or filter by sport type to display information for different sports. If you’re a multisport athlete, consider creating a PMC for each individual sport to see what sports are contributing to your fitness and where you could maybe spend more time. Check out this article for some of my favorite charts. With the Workout Builder, not only can you create a nice visualization of how the workout will unfold, but it will be tailored to you based on your individual thresholds and zones, providing you with the right pace, power, or heart rate for each of the intervals. With a compatible device or training app, you can take this a step further by exporting the workout for step by step instructions on your wrist or handlebars, or control your smart trainer to optimal precision. Once you are done and have uploaded the workout, you will get feedback under the analysis tab on how you performed compared to the plan. 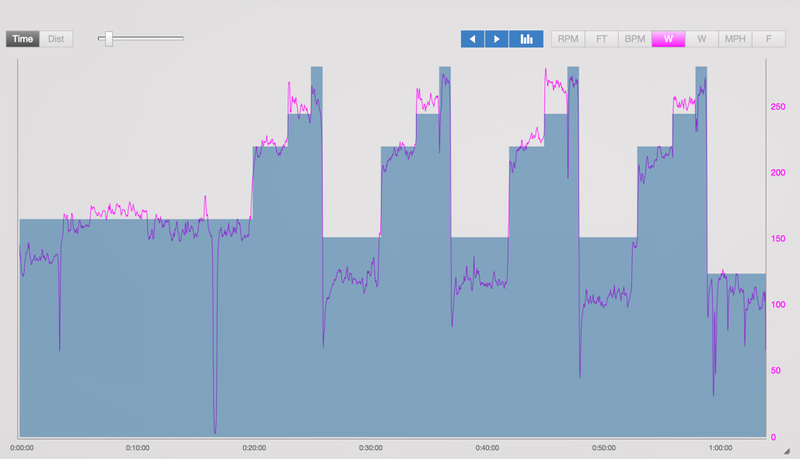 With these five tips you can get the most out of your TrainingPeaks premium account and set yourself up for success in the coming season by reviewing goals, training with a purpose, and monitoring your fitness and performance.